Scott M. Graffius, CEO of Exceptional PPM and PMO Solutions™, an Inc. Verified Business, served as a judge (business/technical fields) in the Textbook & Academic Authors Association's 2018 Textbook Excellence Awards. The Textbook & Academic Authors Association (TAA) provides professional development resources and events for textbook authors and authors of scholarly journal articles and books. Established in 1987, TAA is the only national, nonprofit membership association dedicated solely to assisting textbook and academic authors. TAA's name was changed from "Text and Academic Authors Association" to "Textbook & Academic Authors Association" in 2016 to offer a clearer identity for TAA in light of the new meaning of "texting" on smart devices today. TAA created the Textbook Excellence Award—also known as the Texty—in 1992 to recognize current textbooks and learning materials. Nominated works must carry a copyright date for the previous or current year, and entries can include learning materials in all mediums. Textbooks in their first editions with publication dates in the previous or current year may compete for a Most Promising New Textbook Award. In 1993, TAA initiated the William Holmes McGuffey Longevity Award, to recognize textbooks and learning materials whose excellence has been demonstrated over time. Nominated works must have been in print 15 years and are still being sold. All works are ranked on certain criteria: interesting and informative, well organized and well prepared, up to date and appealing, and teachability. TAA's annual conference will be held on June 15-16 in Santa Fe, New Mexico. Awards will be presented at a ceremony during the meeting. For more information on Scott, visit scottgraffius.com. For more information on the TAA including their awards program, visit taaonline.net. 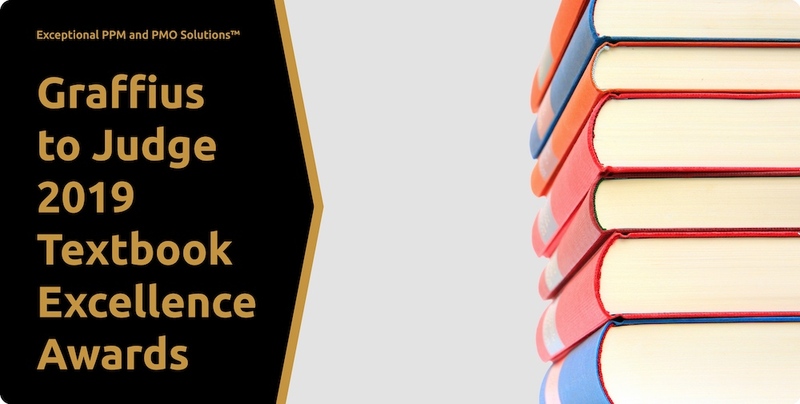 Scott M. Graffius, CEO of Exceptional PPM and PMO Solutions™, will serve as a judge in business/technical fields in the Textbook & Academic Authors Association's 2019 Textbook Excellence Awards. This will be Graffius' second year as a judge for the program.